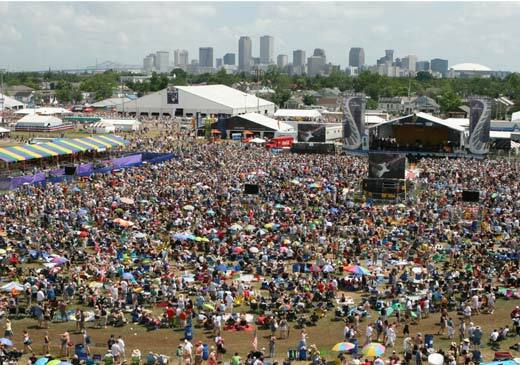 The 39th Annual Jazz Fest opens today to gorgeous skies and springtime excitement in New Orleans. If you ever get the chance to attend one of the weekends of Jazz Fest, do it. There’s no better time in New Orleans. It’s generally a time of joie de vivre, but this year seems particularly special as many New Orleans residents, like Aaron Neville, are finally home and the debacle of Katrina is ebbing some. The Spring continues to bring new growth in flora and fauna, as well as re-built homes and lives with more people and businesses popping up all over the place. Here’s a sampling of today’s performers…. and on the other stages, a few MM favorites…. Should be a great weekend for sun and fun in The Big Easy. Next weekend, AT&T will carry portions of Jazz Fest Live at The Blue Room, so check it out. Wayne Toups (and Zydecajun) is a force of nature and his band is about as good as it can get. Nobody sits down when Wayne plays. I thought it only appropriate that a true cajun do a post on Wayne Toups. I first heard of Wayne Toups in the early ’80s in and around Lafayette, Lousiana, my home town. At that time he was known as the lead dynamo in Wayne Toups and the Crowley Aces. They played the many festivals in and around Southwest Louisiana (Acadiana). I think I first saw Wayne Toups play at a small town Fais-Do-Do (Street Dance). I had heard the buzz around Wayne for a while but hadn’t seen him live. Now, I experienced ALOT of cajun and zydeco bands, growing up. You see, there’s the Boudin Festival, the Yambilee, the Festival of Beauties, the Shrimp Festival, the Crawfish Festival, the Corn Festival, the Festival Acadiens, the Rice Festival, the Sugar Cane Festival, the Corn Festival, the Shrimp & Petroleum Festival, the Cattle Festival, the Cotton Festival, the Duck Festival, the Frog Festival, the Zydeco Festival,the Strawberry Festival, not to mention Mardi Gras and Jazz Fest. Every weekend, around Acadiana, there’s a festival within driving distance that provides great food, fun and music. While my com padres and I made a hobby out of attending these festivals (mainly because the ID policy at these festivals was quite “liberal”) and taking in all the local music, I was literally gobsmacked the first time I experienced the whirlwind that is Wayne Toups. 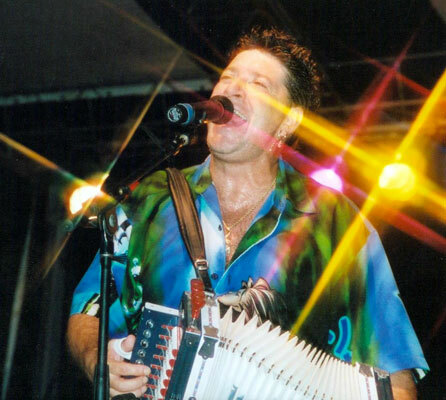 I was used to Cajun “Chank-a-Chank”– old time Cajun French music — as well as pure Zydeco a la Clifton Chenier, but Wayne Toups fused all of that together with a modern rock flare. And, the energy level….whew! Well, check it out for yourself….here is a link to Jay’s Rockin’ the Boat trailers that features Wayne doin’ Please Explain. (Thanks, Jay.) If you haven’t already checked out Jay’s Rockin’ the Boat documentary about Delbert McClinton’s Jam Cruise, please do so here. Now, Wayne has had a wee bit of trouble over the last few years and has spent some time in jail on drug charges. But, he’s out of the pokey and back playing festivals. He may even get his old “boat gig” with Delbert back. For me, this music is contagious. Just like the Cajun people, Wayne’s music is joyous, heartbreaking, humorous and poignant. Blast from the Bayou is one of my favorite Wayne Toups CDs. Take My Hand was a regional hit and likely Wayne’s most well known song. It’s very much in the vein of “Swamp Pop” music and was likely heavily influenced by Rod Bernard and G.G. Shinn. While Take My Hand is a great song, the song that epitomizes Wayne Toups is Zydecajun Train. I defy you to sit still when listening to this. However, my favorite Wayne tunes are the ones that intertwine French and English…what we were raised with. Johnnie Can’t Dance is a perfect example. Wayne opens the song, true to the French original and then bridges a verse in English. This is a subtle, yet significant approach. While most folks love the music, it’s important that they “get” the lyric. French music can be very beautiful but if you don’t know what it means, the song loses some value. Wayne gives you a bit of English so you understand the song. By the way, catin (pronounced CA-tan) means “doll” in Cajun French, which is a bit different than the pure French meaning. Wayne Toups is a true raconteur, but he’s been a tremendous music ambassador for Acadiana and the Cajun French heritage. His music has assisted in keeping the Cajun culture and music alive with a new generation of young Cajuns. He’s also exposed our culture to people outside our region through his music and his obvious joie de vivre. This is only a small sampling of Wayne Toups’ music. If you have any interest in Zydeco or Cajun music, or music in general, I encourage you to download or pick up a CD or two of Wayne’s. I promise that you will agree that it’s money well spent.